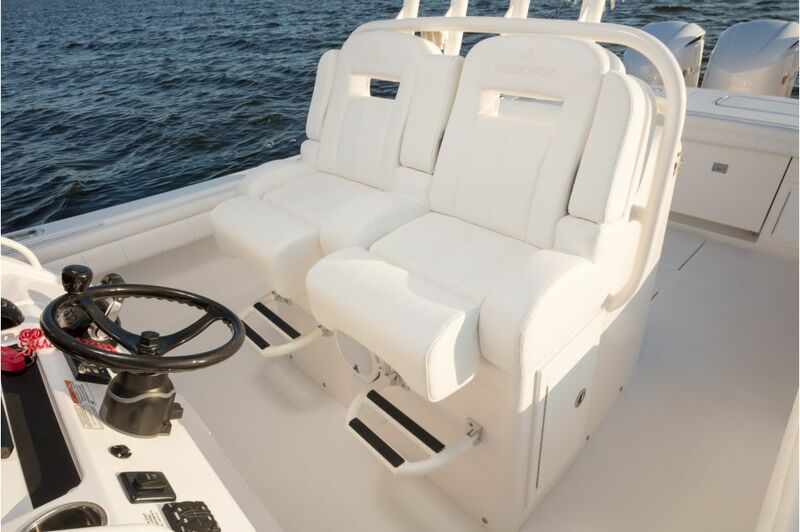 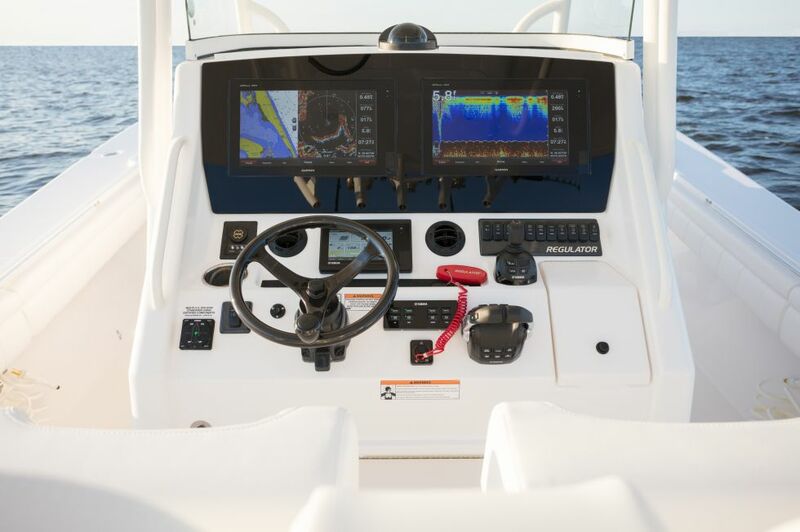 The Regulator 34 is a true center console, with a design that maximizes space to the point of rivaling its 39-foot competitors. 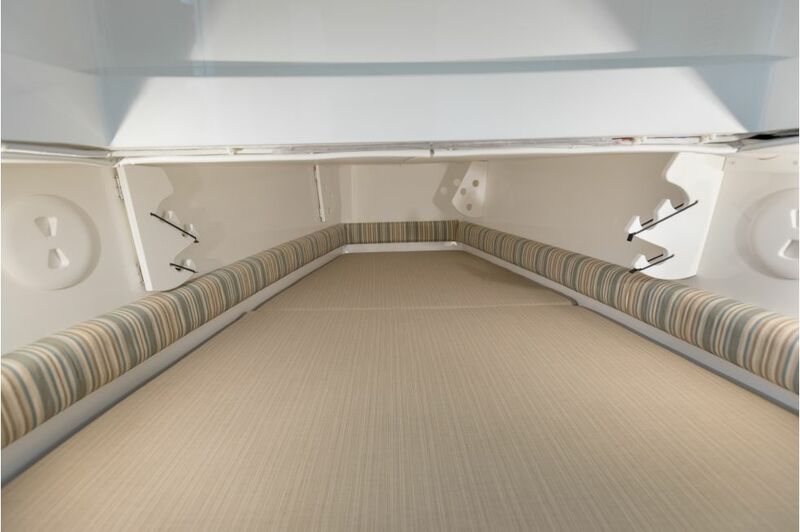 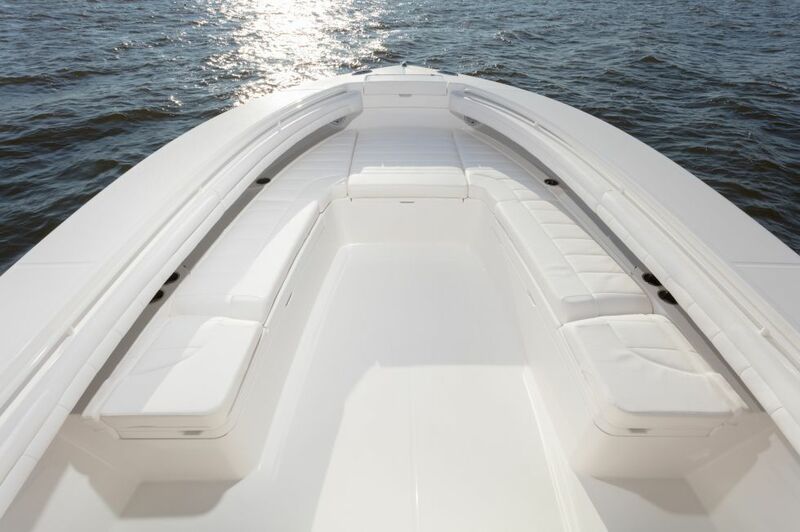 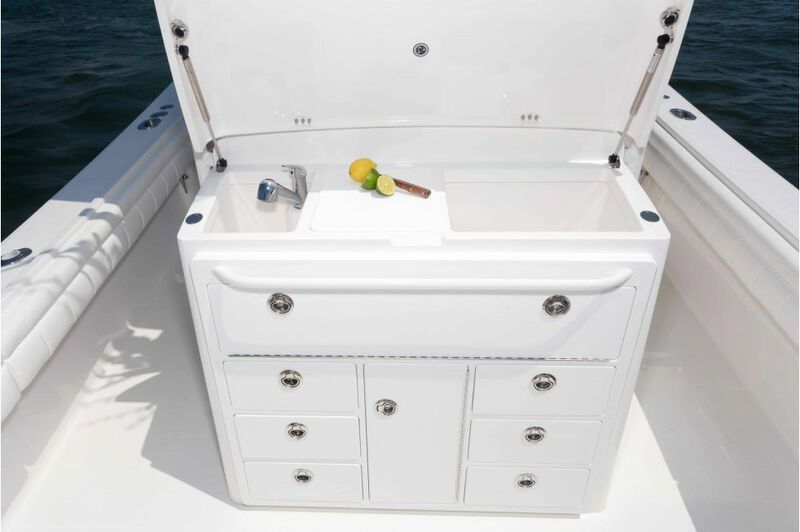 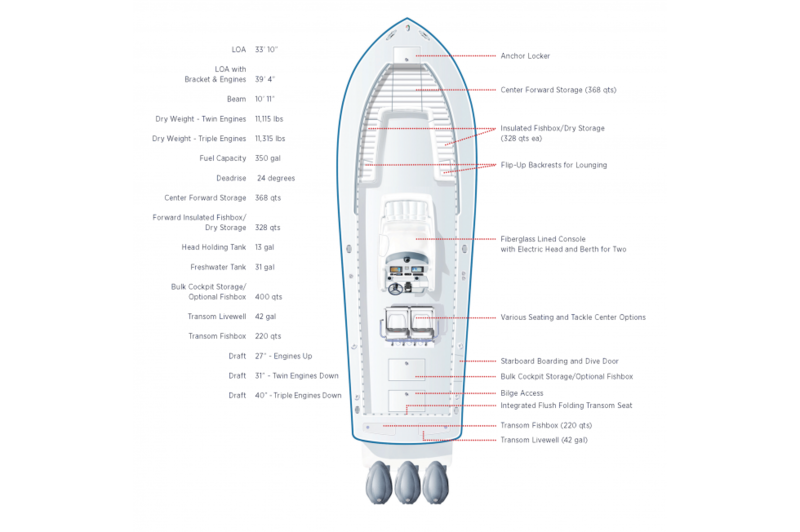 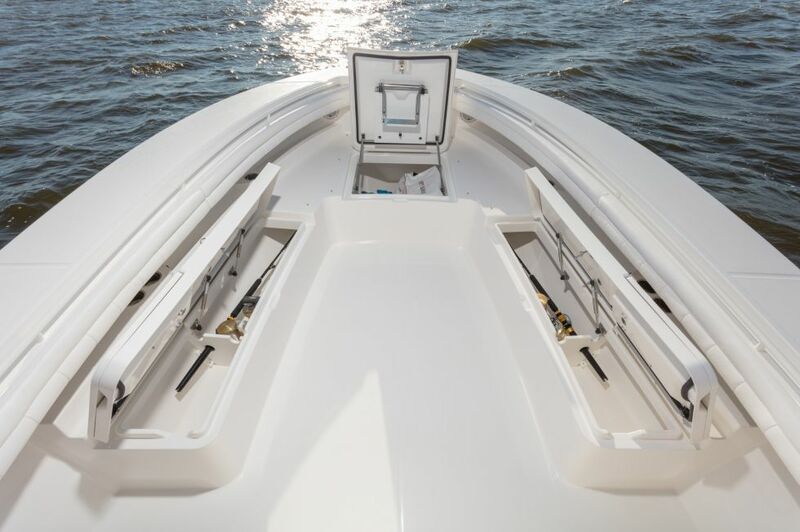 With a new berth that features sleeping accommodations for two and abundant rod rack storage, as well as new starboard boarding and dive door, the 34 is ready to ride. 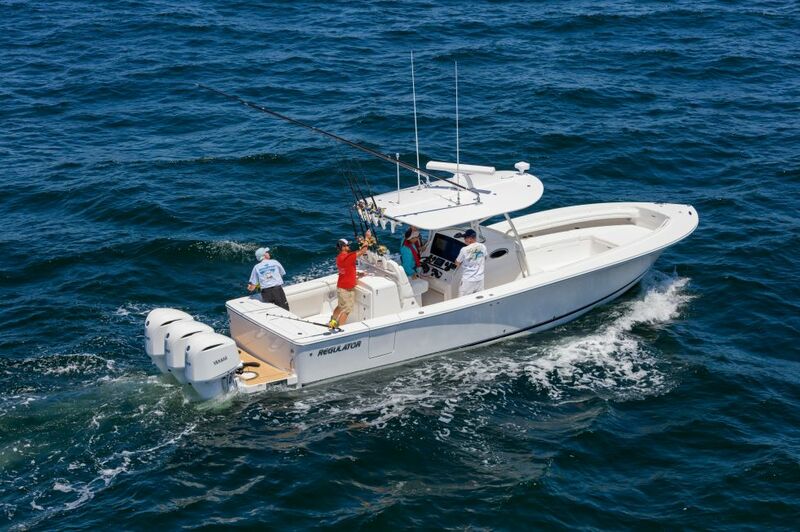 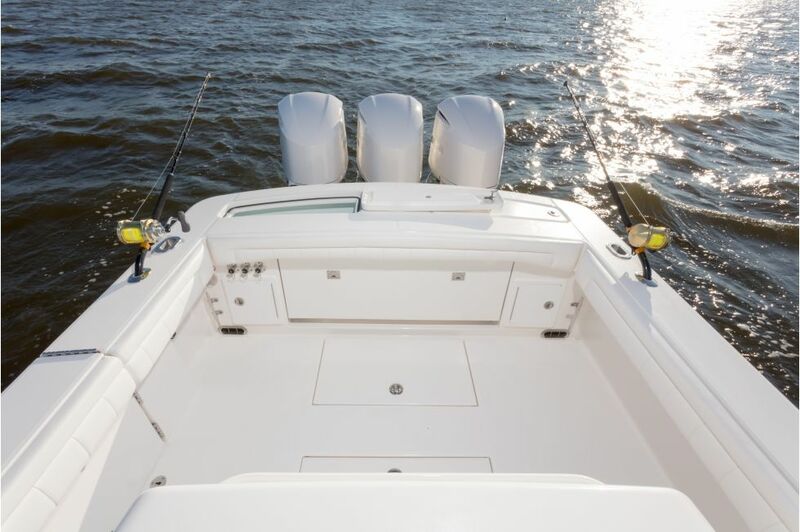 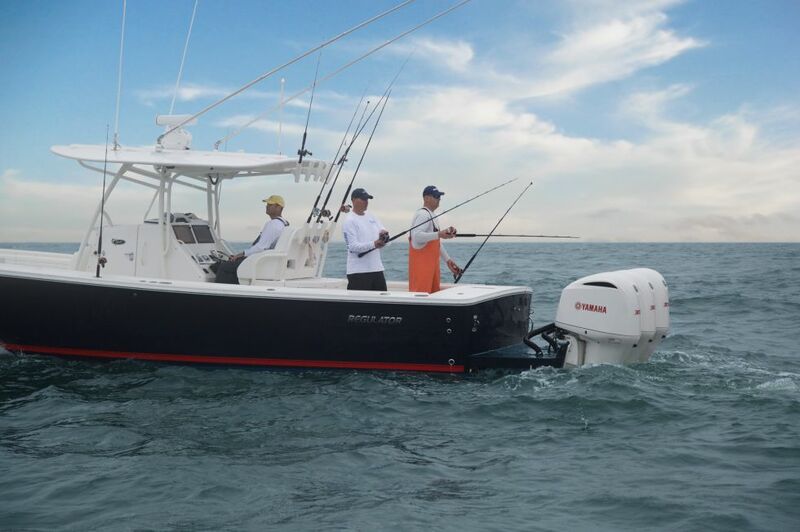 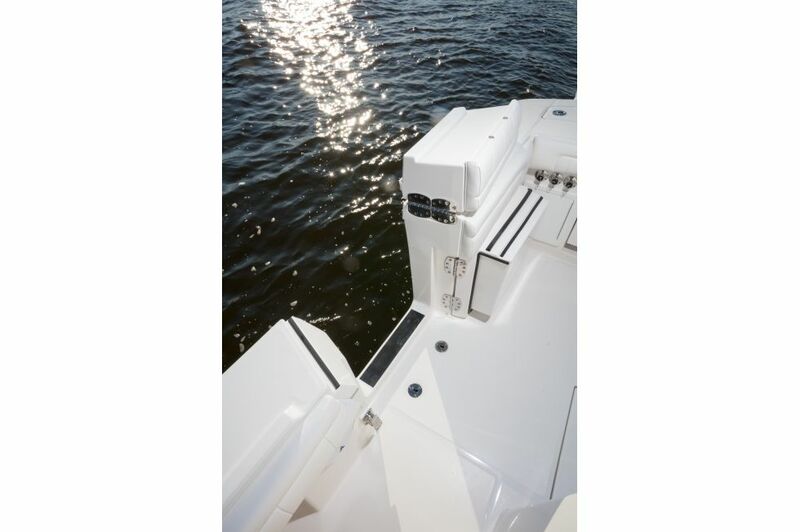 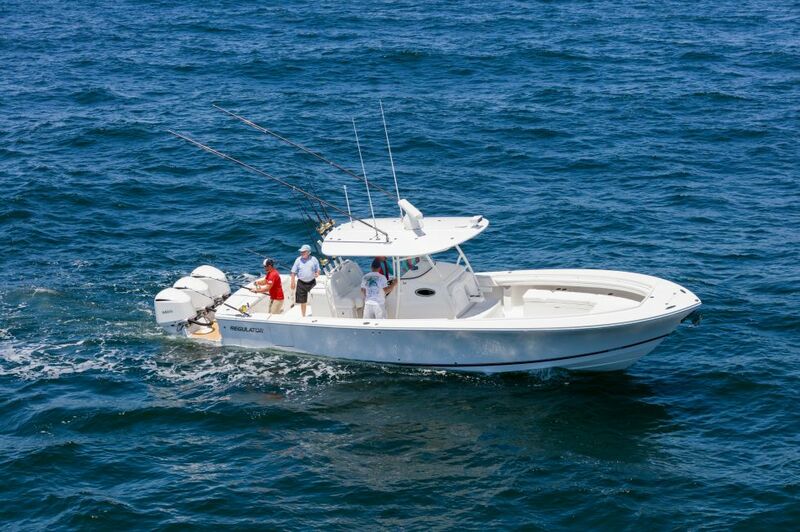 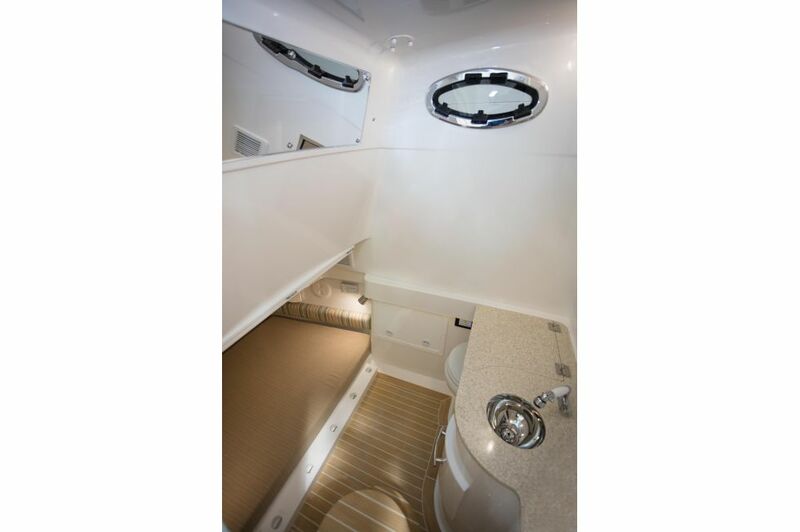 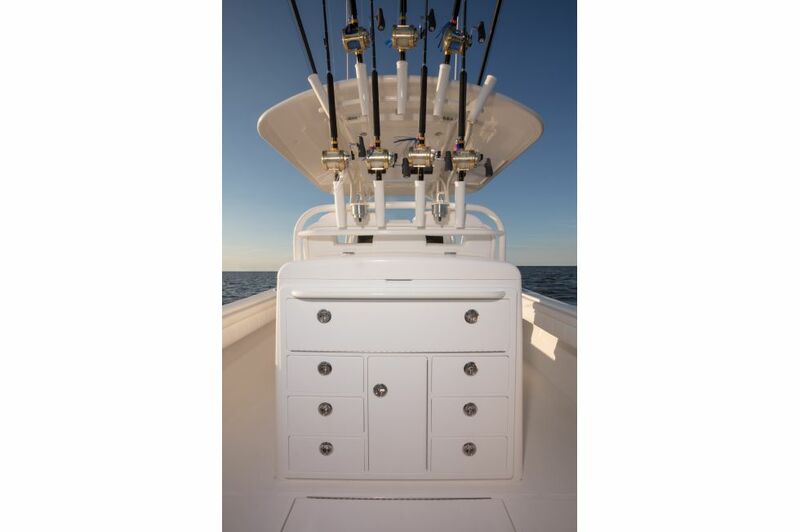 Fishermen’s favorites include a transom livewell, transom fishbox, and 3X Deluxe Tackle Center with rigging station. 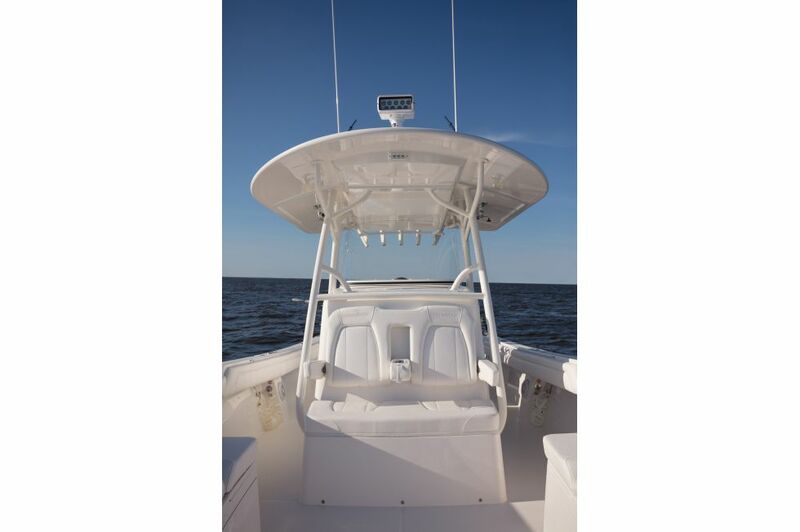 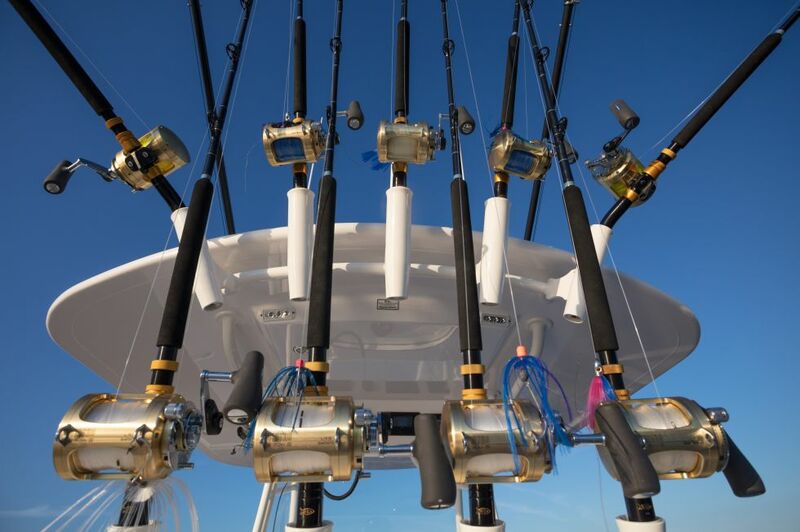 Let out your lines with optional Taco Grand Slam 380 outriggers with Aluminum or Carbon Fiber poles, and keep the fish on ice with an optional refrigerated chill plate for the transom fishbox.